Nifty. Check out these youtube videos if you, like us, are still a little lost. 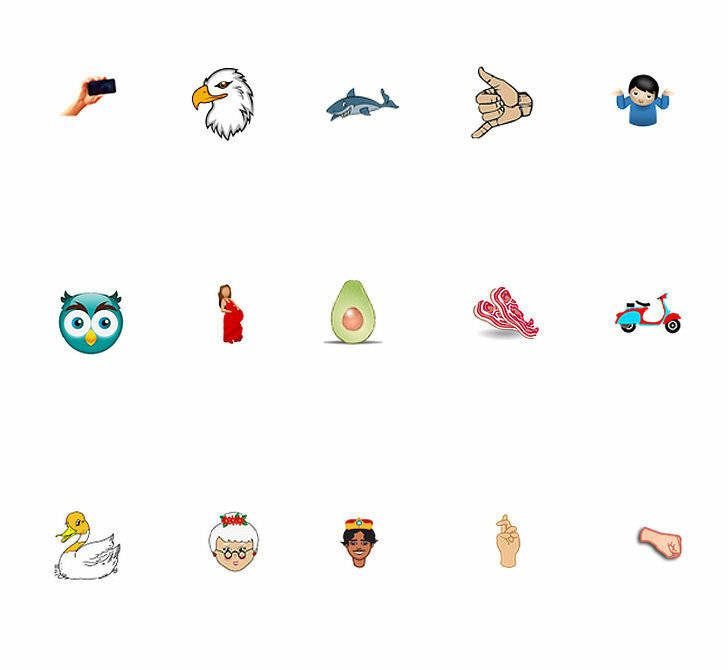 It’s that time again – the Unicode Consortium Emoji present giving time!! Well, kind of. It’s that time when they tell us what we’re getting as a present in June next year. But the present is pretty cool, so we’ll be chill with that for now. Wanna know what kinds of fascinating and emotive new Emoji’s you’ll be conversing with next year? There’s 38 of them, and some of them are pretty rad, just sayin’. ALSO please note – your chosen operating system does have the choice to implement them or not! The text that shuts down your iDevices! What is it and how to fix it! Texters beware! There is now a weird iMessage virus that, if sent to your iPhone, will restart your beloved little box of magic tech and then repeatedly crash iMessage. It can also screw with your iPad and Apple Watch too! The text includes a specific series of non-roman characters and although Apple is aware of the problem, a fix won’t be available until the next software update. 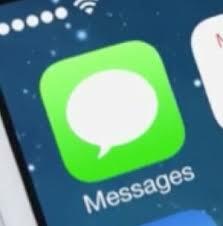 All is not totally lost – the message doesn’t actually do any damage to your phone, apart from making it hard to use your iMessage app, and even that can be rectified by another text being sent to your phone – although it has to be from the person who sent you the evil text in the first place. The brain trust over at Reddit have come up with a theory that the message works, perhaps, by confusing the phone so much as it tries to figure out how to display the text as a notification banner, that it just gives up and reboots. Apparently sending the message through other message apps that have display notifications leads to the phone rebooting as well. If you think you have some frenemies or mortal enemies out there that might be planning on sending you the message, maybe take a preventative measure and switch your notifications off for iMessage and other message apps. Not proven to help, but can’t hurt. Send yourself a message via Siri, the share sheet, or from your Mac, or send a photo via the Photos app which can allow you to access your message history and delete the conversation. 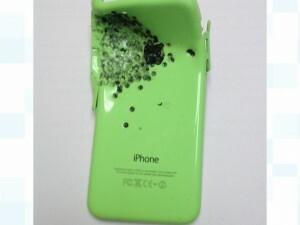 Let’s hope you and your mortal enemy can agree that your magic tech box iPhones are off limits!! The original smart-watch, the one that started it all by being a super publicized Kickstarter campaign, might be in trouble. As reported by the good guys over at TechCrunch, Pebble has reportedly reached out to a bank in Silicon Valley for a $5 million loan as well as a $5 million line of credit after, it’s rumored, being turned down by a number of other banks. This comes only a couple of weeks after another kickstarted campaign for their new device Pebble Time reached it’s $500,000 goal in under 20 minutes (!!) and got a final pledge of $20,338,986, and, of course, only a short while after the release of what some view as their biggest competitor, the Apple Watch. Pebble reportedly received about $18 million of the pledged amount and have actually gained momentum for their devices off the back of the highly publicized (yet more expensive) Apple Watch. The company seems to be taking loans and seeking venture capital in order to stay afloat during a period of immense and necessary growth, but take into account that this is occurring at the same time as both the wearable boom and the entry of such a big competitor into the market like Apple, Pebble is one wearable company to keep an eye on. Waaay better camera on next iPhone? According to the ever increasing next-iPhone rumor mill, the next iPhone update, likely due in September of this year, will include three new updates – 4.7 inch iPhone 6S, 5.5 inch iPhone 6S+, and a cheaper, 4 inch iPhone 6C. Each of these is expected to have camera improvements, and some in the industry are pretty certain that this means that at least the larger iPhone updates will include a 12- megapixel rear facing camera with smaller pixels. This would make sense in a timeline kind of way, as Apple hasn’t updated the 8- megapixel camera currently in all iPhones since the iPhone 4S which was waaaay back in 2011. That’s eons in the tech world. They are also expecting software updates to improve the camera, however what these may be remain unclear at this stage. The new 2015 generation of iPhones will likely be powered by a A9 chip, feature Force Touch, and iOS 9 with improved Siri and Apple Maps. Gesture Control has also been mentioned, as has the possibility of an extra microphone. iPhone Antidote favorite Jony Ive has been promoted to a newly created title at Apple, becoming the Chief Design officer, whilst the day to day management of the design teams was given to Richard Howarth and Alan Dye, promoting them to Vice President positions. This gives Jony the time and space to delegate and focus on the broader idea of design for Apple across hardware and software, all the way through to packaging, retail store aesthetic and new whole product ideas without needing to deal with the administrative and managerial work associated with it. Congratulations Jony! Congratulations Richard and Alan. Here’s the Apple- wide email CEO Tim Cook sent regarding the promotions. 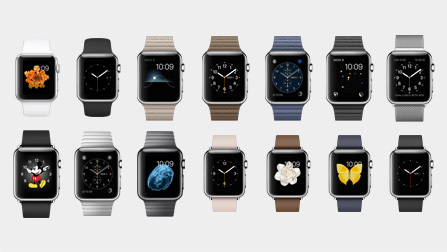 How many Apple Watches are being ordered daily? Since orders for the Apple Watch began on April 10th this year, around 2.5 MILLION Apple watch’s have been ordered in the US alone. That’s a lot of wrists. More than half the orders came on that day, with an estimated average of 30,000 orders being processed every day since then. Thirty thousand. Jeebus. The order numbers saw a rise around April 24th, when a lot of people started receiving their Apple Watches and splashing their shiny devices around town, and in recent days have seen a small decline in orders. These early sales are out pacing early sales of Apple’s most well known previous devices, the iPod, iPad and iPhone, making it a surefire early success in history’s (and investor’s) books. Whether or not that success will continue remains to be seen, however come June when the Apple Watch is said to be sold in physical retail stores, Apple should see a noticeable rise in sales, if only momentarily. 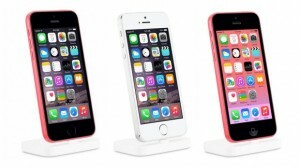 Apple might have leaked a photo of the iPhone 6C! Photoshop fail? Or accidental leak? You be the judge! There are currently photos on the Apple online store that seemingly show an iPhone that is yet to be released – an updated version of the iPhone 5C with a Touch ID (see below left). Apple is expected to announce a new line of updated iPhones, likely at WWDC which starts in San Francisco on June 8th. Within that line up it’s rumored that there will be an updated iPhone 6 (iPhone 6S), iPhone 6 + (iPhone 6S+), and a lower cost 4-inch iPhone, such as an updated iPhone 5C (iPhone 6C). So is this proof of the existence of the iPhone 6C? Apple are yet to comment, and are not expected to, because, well, their Apple. Looks like we’ll have to wait a moment to find out! If you’re wondering, that moment will take exactly 17 days, 14 hours, 7 minutes and 3 seconds from….now. 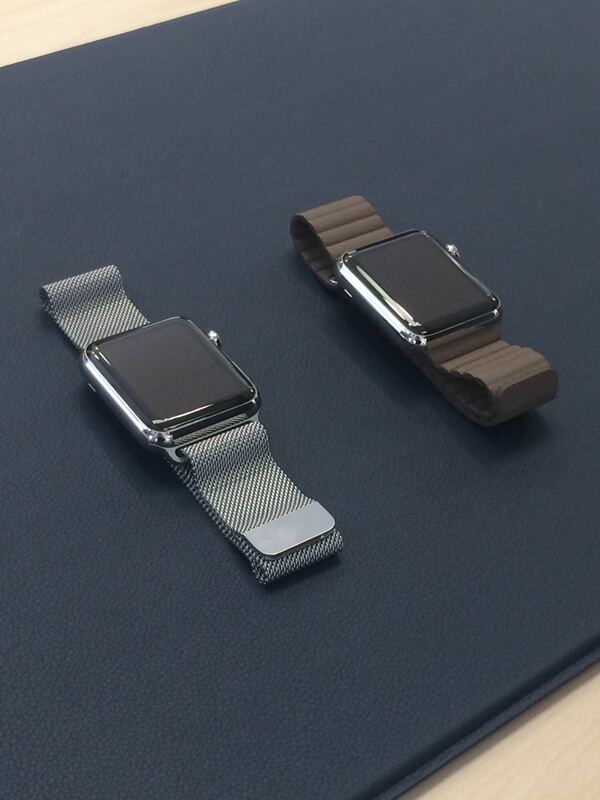 You’ll be able to buy an Apple Watch in-store in June! Good news Apple Watch watchers! Tim Cook recently confirmed with employees at Apple China headquarters that beginning in June, customers will be able to purchase – and take home- their own shiny new Apple Watch from Apple retail stores in multiple countries around the world (including China). Apple’s original online only purchasing system, was the first of it’s kind in the company’s history and was designed to smooth out the launch of the new device, however it was only ever going to last through May and is not indicative of how Apple will handle product launches in the future. There have been a couple of boutique stores around the world that have had the ability to sell the Apple Watch in their stores from the beginning, such as Maxfield in Los Angeles, California, which is the only retail location in the United States. Come June, expect to see Apple retail stores roll out the Apple Watch to buy in-store, most likely beginning with the model with the least supply wait currently – the sport.